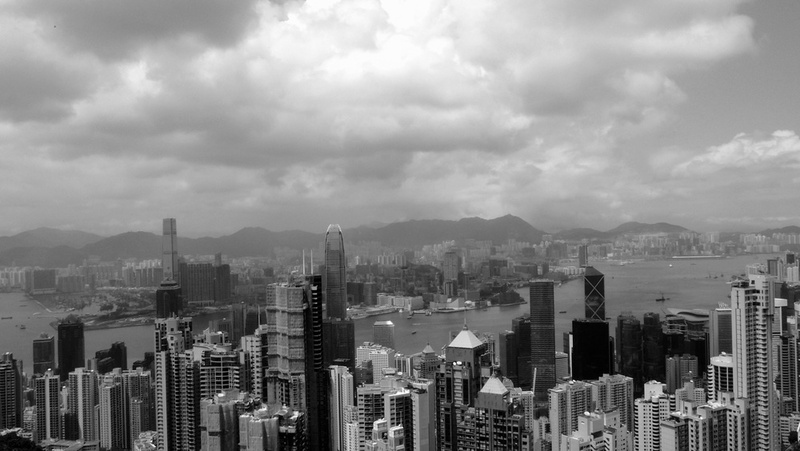 For those that do not want to pay to go to the top of the Peak Tower, crowds are a problem but it is not a bad view! 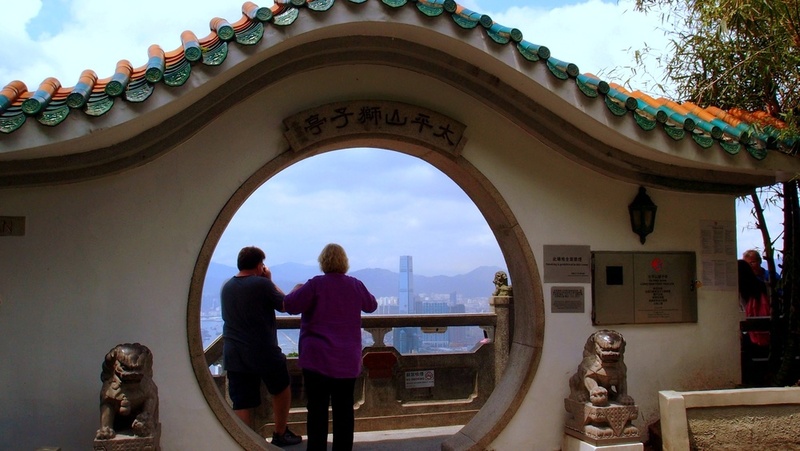 There are a couple of vantage points to see the view of Hong Kong from the Peak, this is one of them, the Lion View Point Pavilion and it is popular because you do not have to pay a fee... but be warned it is very popular with the coach tours because it is free so it is always very crowded and tempers can flare when people hog the best spots! Like I said, not a bad view at all - and it's free! Blink and you will miss it, the Pavilion is to the left of the Peak Tower, so there you have it, these are the 2 view points that probably 99.9999999999999999% of people go to when they visit the Peak, don't get me wrong, the view is pretty darn good it just isn't the best view and I just feel if you have are travelling half way around the world then you deserve to see the best possible view without having to fight off hordes of ill mannered tourists. From my spot you get essentially a 180 degree view as opposed to 90 degrees at the other places (the Peak Tower claims 360 degrees, this is rubbish) in my humble opinion this is the greatest city view in the world! so why would you go to a lesser spot? Posted on June 3, 2013 by Jamie Lloyd and filed under Offbeat attractions.